When the Women in the News (WIN) team led by WIN Africa Director, Tikhala Chibwana, conducted training at The Standard Media Group in Nairobi, Kenya mid last year as part of its advocacy efforts little did they know that they had sown a seed which would one day bloom. During the training, WIN challenged the Standard Group management to manage diversity, address gender balance and look into sexual harassment. Management was called upon to pay attention to the glaring gap of women representation at senior levels in media houses as well as the muted women voices in the media in general. The Standard carried a survey that revealed low staff engagement prompting more soul searching which then strengthened the need to have the Network. 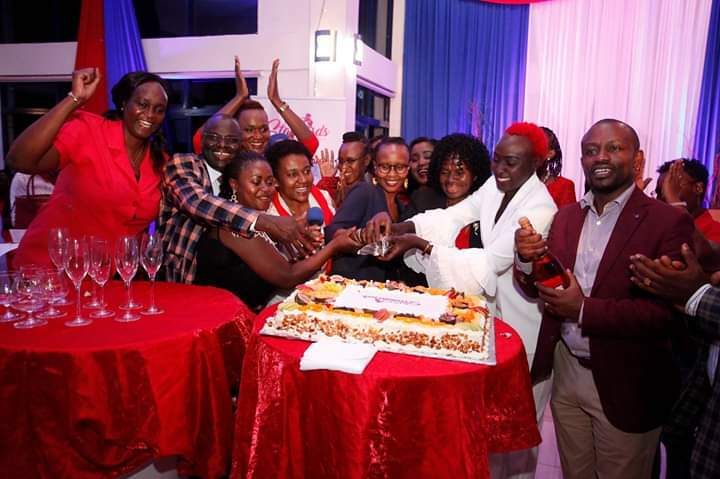 Lyomu, who is the Network’s patron called on women to be ambitious saying “nothing should ever be given to you as a matter of favour”. He assured the women of the company’s commitment to fostering gender equity. The Standard started operating in 1902, has a staff of 800 out of which 350 are female. However, there are few women holding top management positions but with the coming in of the network things are about to change as now women employees have an added spring in their steps. The Standard Group is a key partner of the WIN Programme. The country’s only woman Managing Editor of a TV station Ellen Wanjiru is an alumni of the WIN Programme and works with the media house. She sits with others like Evelyne Kwamboka and Jael Mboga who are alumnae of the programme.